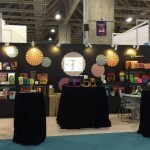 We have finished our exhibition at MIF which was held on 22 -25 Oct 2015 . It was a great success to present our strong creative own brand new samples and innovative stand bringing new fact to talk with customers that tbringing new fact to talk with customers that t bringing new fact to talk with customers that the caliber of attendees were consistently high with the show attracting numbers of unique visitors consistently high with the show attracting numbers of unique visitors for over four days. Wide Ocean offers a range of packaging ideas and concepts to enhance the shelf appeal of premium and luxury products that brand owners can use to differentiate themselves the masses. Premium and luxury packaging brand owner awareness and desire is achieved large scale advertising, focusing and a strong identity that can be reflected in the packaging and point-of-sales graphics to attract consumer’s attention and re-purchase. Whatever we do, it is telling a story through packaging or creating on the products. As in the world of packaging where is creatively endless, we will certainly enable brand to realize your vision in packaging.